Kids are accustomed to learning all kinds of things from us. Our habits, the way we order our food, our favorite movies. Whether we like it or not, they are watching! We can either chose to be intentional with the lessons we teach them, or let them observe and just pick up whatever we are doing. The easiest way to incorporate life lessons is to live them out in front of your kids and involve them in your everyday life activities. 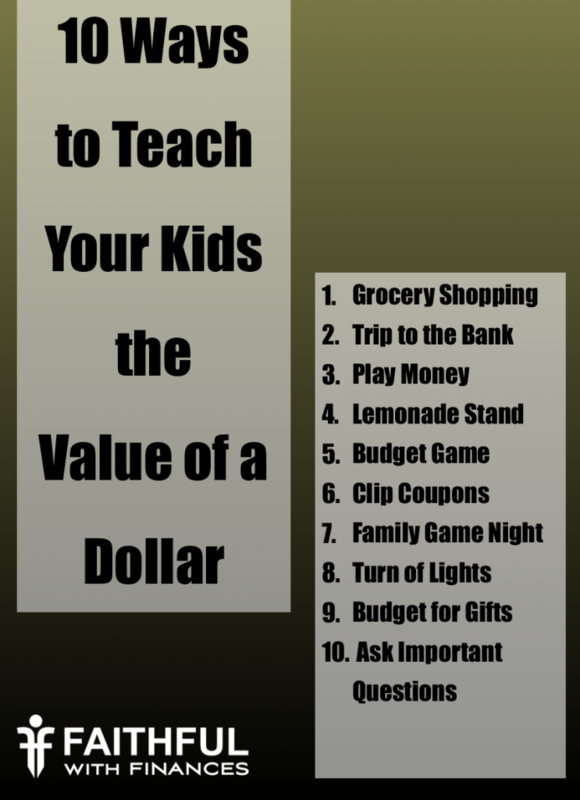 Here are 10 fun and easy ways to teach your kids to not only save and spend money – but to value it. Make a Fake “Budget” – similar to a budgeting game, let them decide where the money goes each month. Give them categories and let them decide the amounts. At the end, talk about it together and how you could change certain amounts to save more. Clip Coupons – involve your kids in the savings process. Have them search through store ads to find the best deals on the items you need. 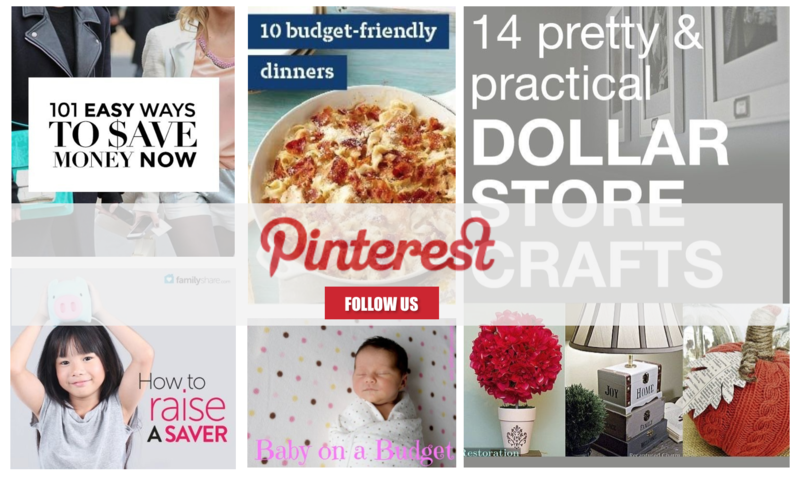 Since most ads are all pictures, even the little ones can help with this activity! Play Games as a Family – games like Monopoly and Settlers of Catan involve money-reasoning skills. While this might be for the older children, younger ones will love to watch! 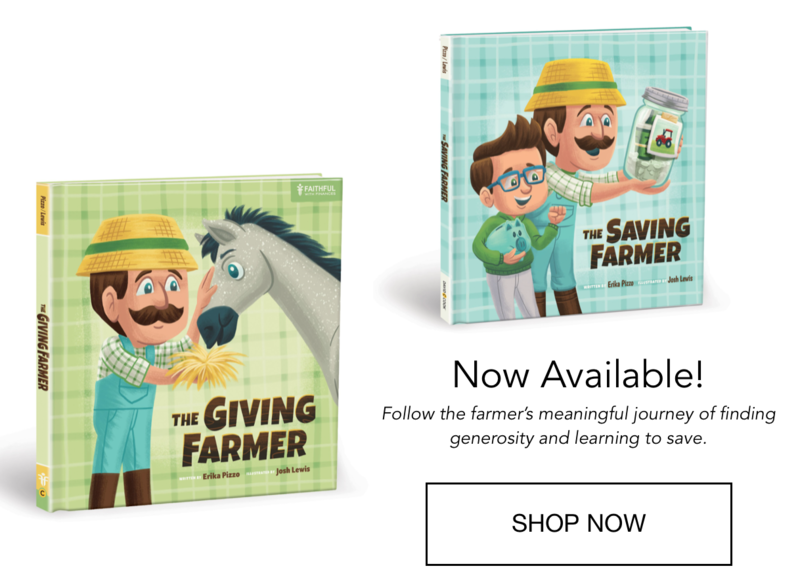 Budget for Gifts – When gift giving season arrives, make sure to set a specific budget for your child to follow in buying for friends and family. This will teach them the skill of dividing out money and staying within their “means”. At times it will feel silly to “reason” through these things, but you are planting the seeds that will help them make all of their future budgeting decisions. 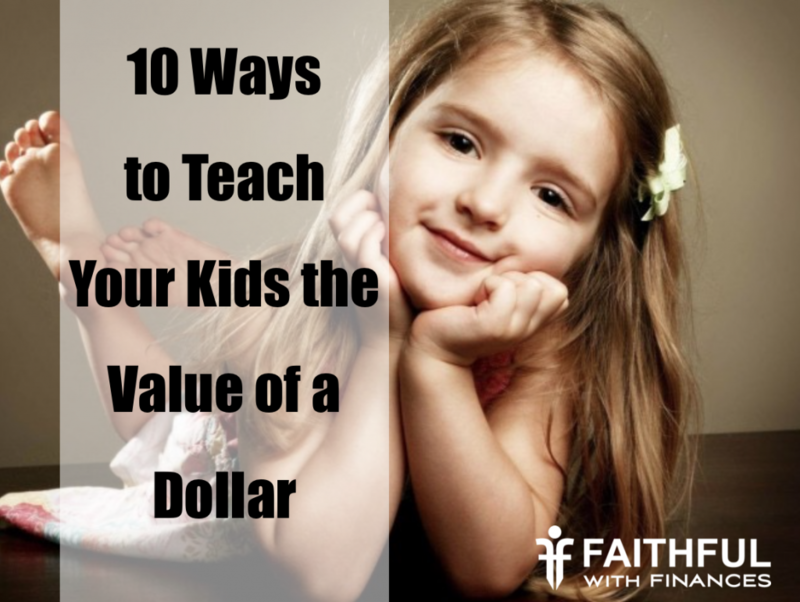 What are some ways that you help your kids see the value of a dollar? Drop a comment below, we would love to hear from you!